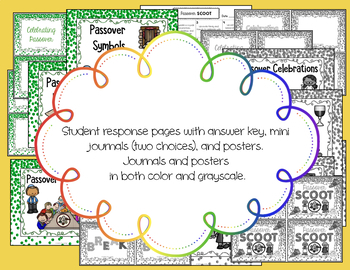 “Passover SCOOT” task cards, posters, game, and mini journal will all provide a fun and motivating way for your students to learn, think about, and review facts about Passover. It’s one of a series of SCOOT games for Jewish holiday observances. The first set of 16 cards is meant to be used before playing the game as a quick review or a way to acquire some prior knowledge. 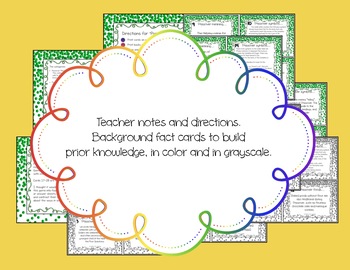 The questions on these cards are also perfect to use for brain break discussions, as quick writes, or journal entries. Place a task card or two from this set, along with a stack of blank cards at your writing center. Your students will love responding in that way too! The rules are just like your usual Scoot games, and there are 28 question cards in all. Break cards are also provided, giving you a way to adjust the number of cards used for fewer or more students, or to skip some of the question choices. 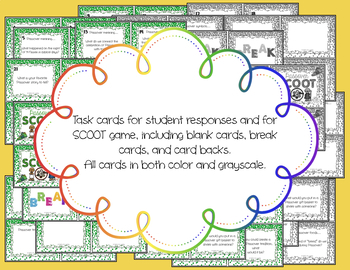 There are blank cards provided as well for you to add some questions unique to your plan for your students. Posters are included to use as a central image on bulletin board displays of student responses - another fun way to share. Ask students to write a response on a blank card and arrange those cards around the poster. 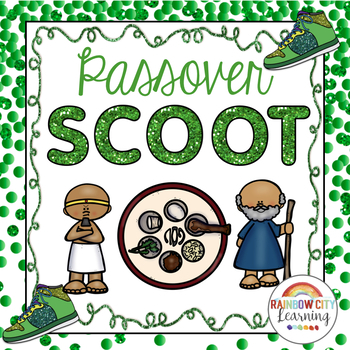 I hope you will enjoy using this version of SCOOT to celebrate Passover and share some fun with your students! You might also like these other great SCOOT games from Rainbow City Learning!